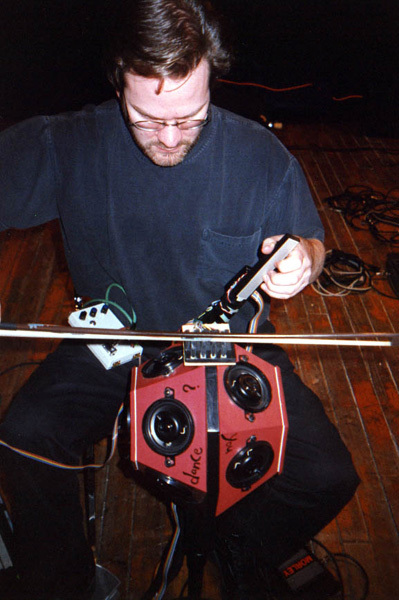 With the rise of laptops in music in the 1990s, and more musicians using laptops on stage, it did not take long before the first laptop orchestra was founded. Nowadays there are many of them and there is even an International Association of Laptop Orchestras. They are often associated with universities and open not only to music majors, but to all students who want to make music with computers and delve deeper into making music with new technology. Taking inspiration from the traditional orchestra, one of the aims is to make every laptop diffusing its sound similar to an acoustical instrument. To achieve this, every member of the orchestra gets their own loudspeaker and, in this way, their sound is diffused from one spot in space, similar to how a violin or a trumpet emits sound. It also makes it easier for the musician to distinguish their own sound from those of the others, , and thus have a more personal relationship to one’s own sound in relation to that of others, similar to how it is in traditional orchestra playing. Dan Trueman and Perry Cook founded the first laptop orchestra in 2005, calling it the Princeton Laptop Orchestra (or just PLOrk). To amplify the sound of each player through an individual loudspeaker they used hemispherical loudspeakers designed to diffuse sound from one point into all directions. The history of these hemispherical loudspeakers began twenty years ago with Dan being unsatisfied with a guitar loudspeaker for his electric violin and looking for a more appropriate loudspeaker set-up in the form of a spherical speaker in 1997. This was developed further into an instrument called BoSSA (short for the Bowed Sensor Speaker Array). This instrument “includes elements of both the violin’s physical performance interface and its spatial filtering audio diffusor, yet eliminates both the resonating body and the strings” as Dan and Perry described. 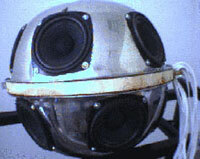 Besides sensors to control the instrument and software to process the sound, this instrument contains a spherical loudspeaker for sound diffusion. 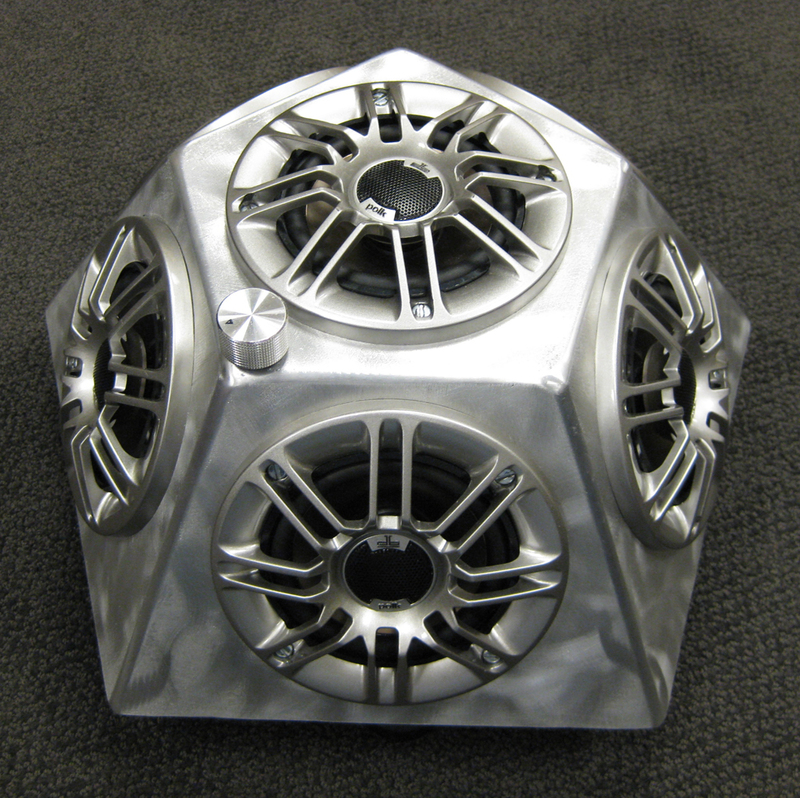 By the time PLOrk was founded, these experiments had evolved into several kinds of hemispherical and spherical loudspeakers. Nowadays they are constructed in such a way that each member just needs two elements to perform in the laptop orchestra: his or her laptop and a hemispherical loudspeaker (with built-in audio interface and six-channel amplifier). As Jeff Snyder, the current co-director of PLOrk, explained to me why the hemispherical and not the spherical loudspeakers are used for the orchestra. 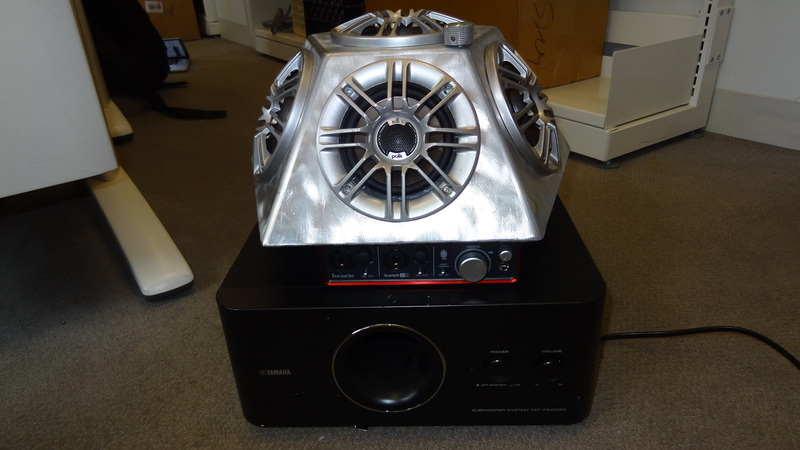 After playing around with both hemispherical and spherical speakers, the hemispherical seemed the most practical, since they can just be placed on the floor, next to the player (and they cost half as much as a spherical loudspeaker, of course). The acoustic difference between hemisphere and sphere was not very relevant for this kind of application. 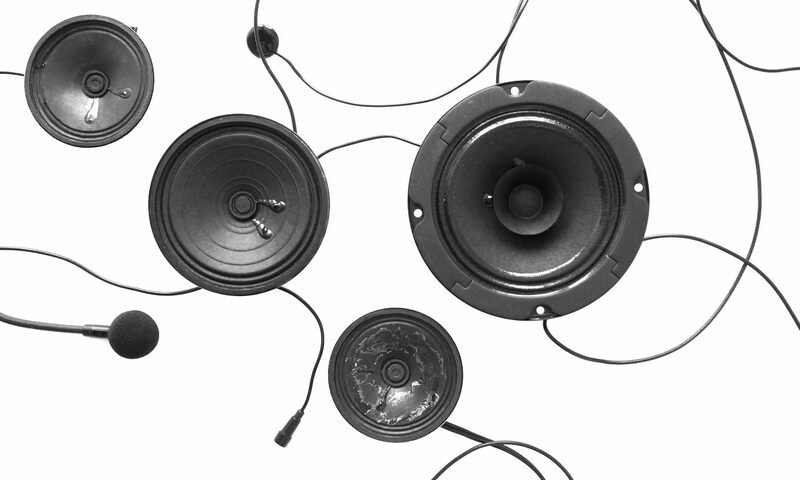 The loudspeakers nowadays use six loudspeakers but are connected to a mono signal, so each speaker diffuses the same audio signal. Also, to add some power to low frequencies, the “hemis” are placed on a subwoofer. A detailed construction guide has been written by Scott Smallwood, Lawrence McIntyre, Dan Trueman, and Perry Cook, in case you are interested in building one yourself. Other laptop orchestras use slightly different ones, as can be seen from the manual for building loudspeakers for SLOrk (the Stanford Laptop Orchestra). These are still based on IKEA salad bowls, as some of the earlier Princeton versions were as well. Mounting the loudspeakers in the hemispherical speaker construction. © Scott Smallwood, Lawrence McIntyre, Dan Trueman, and Perry Cook. If you want to hear PLOrk live, your next chance is on May 3, 2017. The Princeton Laptop Orchestra (PLOrk), directed by Jeff Snyder and Jason Treuting, presents their spring concert, featuring guest artists HPrizm and Iarla O’Lionaird. Taplin Auditorium, Princeton University, Princeton, NJ.